How do I Use Household Ammonia As Fertilizer? Fertilizing dogwoods correctly can be difficult. Different stages in the tree's life require different amounts of fertilizer. Overfertilization can kill young trees and reduce flowering in mature trees. If you fertilize too late in the year, tender new growth will not survive the winter. Rake mulch from under the tree. The fertilizer must make contact with the soil. Sprinkle 1 tbsp. of 12-4-8 or 16-4-8 fertilizer around dogwoods 12 to 24 inches tall. Apply the fertilizer 1 to 2 feet from the trunk. Sprinkle 4 tbsp., or 1/4 cup, of fertilizer around dogwoods between 24 inches and 6 feet tall. Apply the fertilizer 2 to 3 feet from the trunk. Sprinkle 1/2 lb., or 1 cup, of fertilizer for every inch of trunk diameter for dogwoods that are taller than 6 feet but have not reached their mature height. Measure trunk diameter 4 feet above the ground. Apply the fertilizer 4 feet from the trunk to 3 or 4 feet past the drip line (where the tips of the branches end). Sprinkle 1/4 lb., or 1/2 cup, of fertilizer for every inch of trunk diameter for mature dogwoods. Measure trunk diameter and apply the fertilizer as you would in Step 5. Reapply the mulch around your tree. A pre-mixed commercial fertilizer labeled "all-purpose" or "general purpose" is typically best for use in most situations, according to Yardener and Burpee. Examples include Miracle-Gro's All-Purpose Plant Food and Nature's Touch All-Purpose Fertilizer. However, better growth may result if you use a fertilizer that's specially prepared for a specific plant type (e.g. vegetable fertilizer or lawn fertilizer). Pour 1 cup of ammonia, 8 oz. of regular beer, 8 oz. of regular soda, 1/2 cup of liquid dish soap, 1 cup of Epsom salts, 1 cup of water, and 1/2 cup mouthwash directly into your garden sprayer. Place the lid on the garden sprayer and give it a shake to combine the ingredients. Pump the garden sprayer and aim the wand at the area you want to fertilize. Spray from left to right, beginning at the back of the area you want to fertilize, and work your way toward the front. Applying the fertilizer systematically like this will ensure you don't miss any spots. Seed or plant your grass seed, sprigs or plugs first. Grass seeds should be raked lightly so that the seeds are 1/4-inch deep. Pour the amount of fertilizer into your garden spreader that will cover the area you are seeding. Follow the bag directions for the correct calculations for your specific application. Apply the Scotts Starter Fertilizer by pushing the spreader across the seeded area in even passes. Be sure to stay away from garden edges since this type of fertilizer is not recommended for plants other than lawn grasses. Try not to overlap your passes by more than 1 to 2 inches. Water the fertilizer into the new lawn area by using a hose with a soft spray nozzle. Do not walk on the new lawn or activated fertilizer until the area has dried completely. You should stay off newly seeded lawns to allow the seeds to germinate without disturbance and you should avoid bringing fertilizers into your home on your clothing and shoes. Milorganite is made of a semisolid residue of organic matter, which is a byproduct of wastewater treatment. The fertilizer value comes from the nitrogen, phosphorus and organic matter in the wastewater that winds up in the sewage sludge. In 1913 the City of Milwaukee created a sewerage commission that connected all municipal sewers, centralizing wastewater treatment. The new activated sludge process was adopted to treat wastewater, but it produced tons of dried microbe solids. Nutrient analyses determined the content of the material was similar in composition to commercial fertilizers and scientists began experimenting with the byproduct. The end result was Milorganite. Milorganite manufacturers claim that there is no burning of turf with over-application. Milorganite produces a dark green, dense turf without causing excessive top growth. Milorganite comes in pellet form. It is sold in 36-pound bags for retail use, 50-pound bags for the commercial market and in bulk bags for large-area application. Milorganite is also sold and added to other commercial fertilizer products. Milorganite is approved by the U.S. Environmental Protection Agency for distribution for any use, including home gardens. Even hardy kiwifruit vines need warm-weather starts and protection during their youth. Plant these vines in mid-spring to void early frost damage. Put them in pots, or in garden locations that get full sun to dappled shade, with good air circulation. In outdoor sites, avoid low-lying areas, which collect cold air and frost. 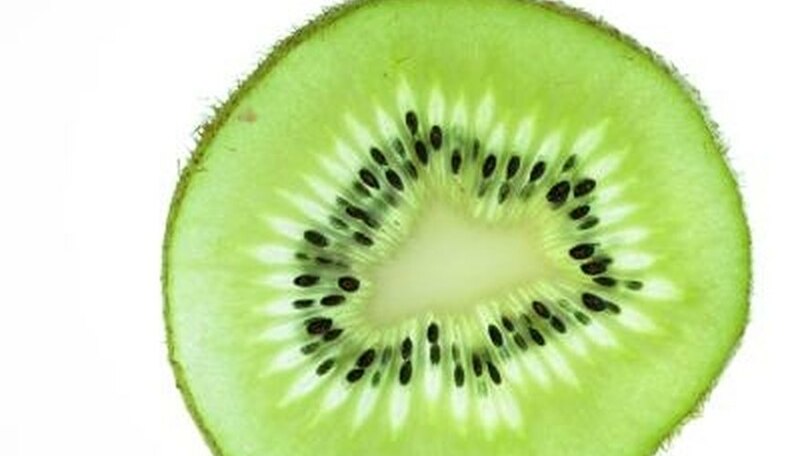 According to the Oregon State University Extension, kiwis do best in quick-draining, slightly alkaline soil, with a pH of 5.5 to 6.0. Standing water leads to root rot and death. Mix any kiwi planting site to a depth of 3 feet with 1 foot of quick-draining garden loam, sand or decomposed granite. Add 6 inches of organic compost or well-rotted manure for moisture retention and starting nutrition. The soil additions create a naturally raised bed for better drainage. Kiwifruit vines respond well to frequent, heavy feedings. Start feeding the plants one month after planting with 1 oz. of 10-10-10 fertilizer per plant. Sprinkle the fertilizer onto the soil in a 12-inch circle around each plant and mix it into the top 2 inches of soil. Give the plants repeated monthly feedings until mid-summer. Always water the plants immediately after feedings. Resume feedings in early spring of the second year, with 2 oz. of fertilizer per plant. Fertilize an 18-inch circle around each plant, and mix into the top 2 inches of soil. Increase to 1/4 lb. of fertilizer and a 24- to 36-inch circle in the third year and thereafter. Follow the same schedule of monthly feedings from March to June or July, and water generously after feedings. Till the soil of your garden to a depth of 8 to 12 inches to loosen the dirt and break apart clumps. This will give the roots lots of room to spread out. Apply commercial organic fertilizers over the top of the soil, following the manufacturer’s instructions. The quantity of fertilizer needed will be based on the size of your garden. Add non-manufactured fertilizer, if not using a commercial fertilizer, by layering 2 to 4 inches over the surface of the garden. Non-manufactured fertilizer can include homemade compost, composted manure, well-rotted leaves or grass clippings and clover. Turn the soil to mix in the fertilizer thoroughly. Typically adding fertilizer can be done in the spring, but if you’re using manure, spread it on in the fall and wait until spring to mix it. Add more non-manufactured fertilizer, if desired, and especially if you have sandy or clay soils. Compost and composted manure can improve the quality of your soil by adding nutrients, increasing drainage and lightening the consistency of the soil, allowing roots to move more freely through it. Figure the square area of your planting spot to determine the proper fertilization application rate. Measure the length and the width and multiply these two measurements together to find the area. Fertilizer amounts recommended on the label are suggestions based on applications for a 100-square-foot area. Consult the fertilizer package for the recommended application rate and adjust the recommendation to fit the size of your growing area. For example, if your growing area is roughly 150 square feet, multiply the recommended application rate by 1.5. Moisten the soil with water prior to applying the fertilizer if the soil is not already wet. Sprinkle the granular fertilizer over the soil carefully, spreading it evenly according to the recommended application rate. Keep the fertilizer approximately 6 inches away from the stems of all plants and apply the fertilizer out approximately 1 foot for flowers, and to the drip line for bushes and shrubs. Work the fertilizer into the soil with the hand rake to incorporate it and help it absorb down to the plant roots. 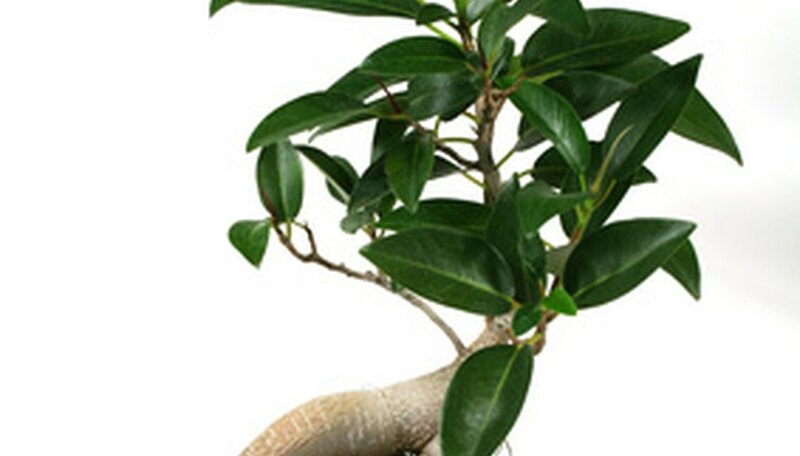 Choose a complete and balanced, water soluble fertilizer designed for flowering houseplants. Look for a guaranteed analysis of 10-10-10. Either a synthetic or organic product is acceptable. Mix the fertilizer liquid or crystals with tepid water according to the product label dosing directions, but use just one-half of the recommended amount of fertilizer to a full volume of water. This will prevent the fertilizer from burning the tender roots or spurring fast, but weak, foliage growth. Repeat this light fertilizer application once per month throughout the year to coincide with watering time. Water and fertilize clivia when the surface of the soil first feels dry to the touch to prevent over-watering and root rot. Ensure you use fertilizer spikes meant for your kind of fruit tree. Citrus fruit fertilizer spikes will have different amounts of fertilizer than stone fruit fertilizer spikes. Having the proper types of fertilizer for the kind of trees you grow will help the trees produce better. Select how many spikes you need for each tree. According to Jean-Marie Lespinasse and Evelyne Leterme, authors of "Growing Fruit Trees: Novel Concepts and Practices for Successful Care and Management," a one- to two-year-old tree needs three spikes while a four- to five-year-old tree needs four to five spikes. Once the tree is six or older, give it six spikes in the spring. Use the spikes on the tree when it starts showing signs of life in the springtime. Lespinasse and Leterme suggest watering the ground around the base of the tree to a diameter of about 6 to 8 feet for 15 to 20 minutes. Push the spikes into the ground around the tree 3 feet from the trunk in a circle. Hammer them into the ground and cover them with 1 inch of soil. Mix together 2 parts blood meal, 3 parts bone meal and 1 part kelp meal in a plastic pail or other container that has a lid. For instance, you would use 2 cups of blood meal, 3 cups of bone meal and 1 cup of kelp meal. Apply 1 to 2 tsp. of the mixture dry into holes dug for transplants. If you are planting seeds in rows, place approximately 1 tsp. of starter fertilizer spread every 2 to 3 inches in the row. Mix 2 tbsp. of starter fertilizer with 1 gallon of water in a plant sprayer to apply the fertilizer using the foliar method of feeding young plants (placing the fertilizer on the plant leaf). Each plant will need approximately 1 cup of the liquid fertilizer. Pour 1 gallon of water and 1 tbsp. of Epsom salt in a 2-gallon bucket. Stir until the salt dissolves. Add 1 tsp. of baking powder, 8 oz. of soda and 1/2 tsp. of ammonia to your bucket. Stir until the ingredients are combined. Transfer your homemade plant fertilizer to a watering can. Water your plants with the fertilizer once a month. Walk to the base of the tree and use a tape measure to measure out 3 feet from the base of the trunk. Draw a line on the ground or lay a piece of string in the location. Repeat the process on each side of the trunk and connect the lines or strings to form a square. Do not drill any holes inside this square to prevent root damage. Place a 1- to 2-inch diameter soil auger into a drill and set the auger on the ground just outside the 3-foot area. Press the trigger on the drill to dig down into the soil until the auger is 1 to 1 1/2 feet deep. Remove the auger from the ground and walk out 2 feet from the first hole and drill another identical hole. Repeat the process in a straight line until you reach 2 feet past the end of the tree branches. Walk back to the base of the tree and begin another line of holes that are 2 feet away from the first line. Continue drilling holes until you have a square grid around the entire tree, with each hole spaced 2 feet apart. Fill each hole with 2/3 tsp. of an 18-8-8 granular fertilizer. Then water each hole well to begin dissolving the fertilizer. Refill the holes with the soil that was dug up by the auger, or with additional topsoil if needed.